We’re Builders in Halifax, covering West Yorkshire and beyond. Undertaking all kinds of construction work, both residential and commercial. 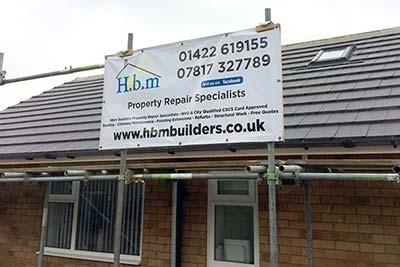 If you’re looking for a builder in Halifax, as property repair specialists you would imagine there’s quite a lot we could do, and you would be right. We’ve carried out all types of building work for residential clients. As builders, we take on jobs of various sizes, from small Brick Wall Repairs to Roofing and Chimneys in Halifax and further afield. Much of the building work we do for residential clients we also do for commercial clients. We work on business premises such as shops, offices and properties for landlords and letting agencies in and around Halifax. 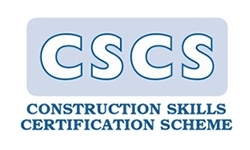 Fully qualified builders working in the construction industry for over 15 years. Working on large new build sites, residential and commercial properties, we cover all of the Calderdale area. All kinds of roofing work undertaken, from small roof repairs to stop a leak to large full scale re-roofs. You can also have us fit fascias and soffits. We’re specialists in chimney repairs and builds, capping, vent repairs, lead flashing, lightning protection and can repair, replace or clean your gutter! 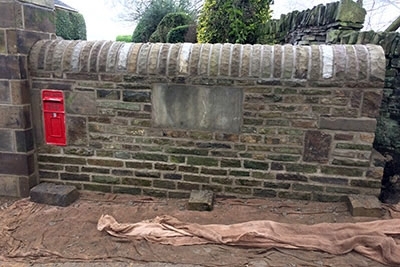 Small ornamental garden walls, large boundary walls, retaining walls, load bearing walls, partition walls, as bricklayers we do them all, repairs and new builds! All kinds of stone and brickwork, walls , drains, fireplaces and more. We are also available as brickwork contractors to other construction firms. 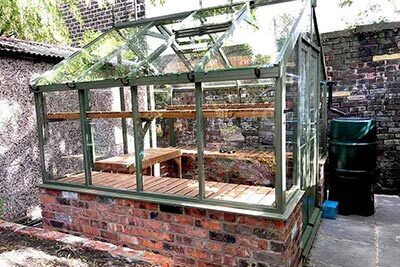 If you have space in your garden you would like more use of you can have us build you a bespoke greenhouse. We give a 10 year guarantee, they’re built to last. Coming with toughened solar glass and irrigation systems, we like to use reclaimed bricks for that rustic look but you can choose any type of brick and stone. Able to Take on Large Jobs! As a construction company we’re fairly small in size, there’s no office or receptionist so your calls will be coming directly to myself, Aden, the business owner. 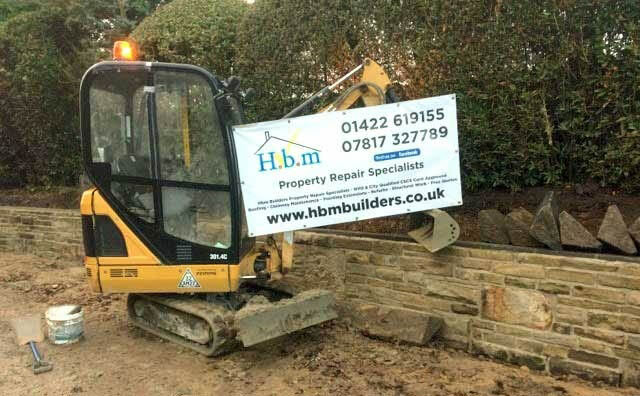 However, H.b.m Builders are able to take on larger jobs and source things such as diggers for hire if and when needed. 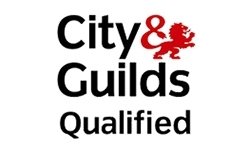 Where a job requires more bodies we only ever use workmen we know and trust, have worked with us in the past and have the knowledge and experience to do what is required of them to a professional standard. Being small in size means when you’re dealing with H.b.m Builders you’ll be in communications with the business owner himself, at all times. We like to build up a relationship of trust with our customers, many of whom we have come to know on a first name basis.